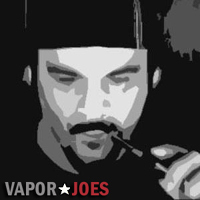 Vapage now has their version of the Aspire Gusto. This mod is compatible with all Gusto pods including the ones made by Halo. 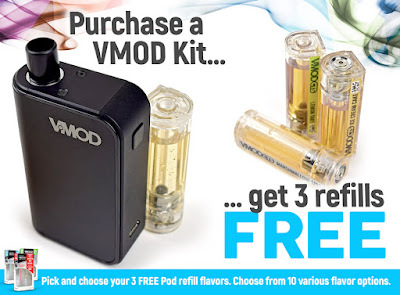 This is a great deal because your getting the mod with one pod and 3 additional 6ml pods of your choice. This is the larger version of the Gusto Mini me and Tyger talk about. Its the same mod but a bit taller and has pods that hold a lot more juice. At this price its a great deal. The new VMOD Closed Tank System Personal Vapor Kits and Refills from Vapage. The VMOD combines the ease of an e-Cigarettes with the perfomance of a high-end vaporizer to deliver the next level vaping experience. Rechargeable smart battery, Micro-USB charging and VMOD prefilled, sealed, 3mg, 6.5ml Vapage premium Eliquid refills deliver great flavor and vapor. 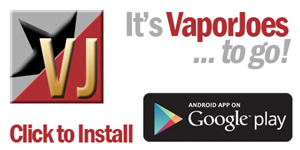 Colossal Sub-Ohm Vapor performance in a pocket size kit. Refill with pre-sealed disposable Vapage pods. Follow the three pop up windows to make your flavor choices. Make sure you use the scroll buttons to see all the 10 flavors!